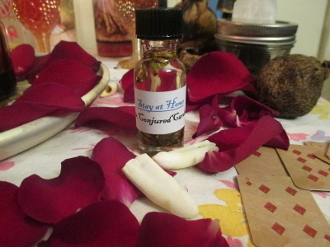 Keep your love at home with this powerful formula! Use along with my Stay at Home Jomo Balle, Nation Sack, love mojos and/or red figure candles. Contains strong ingredients to draw your love to you like a magnet and stick them like glue! Use with Psalm 139, if desired.